The achaeological museum has some of the most invaluable local sculptures on display which have been excavated from this region. The most remarkable one is the Lajja - Gauri image. 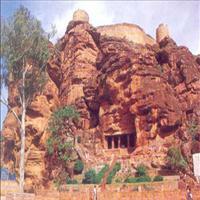 The ancient caves are the main attractions of Badami. 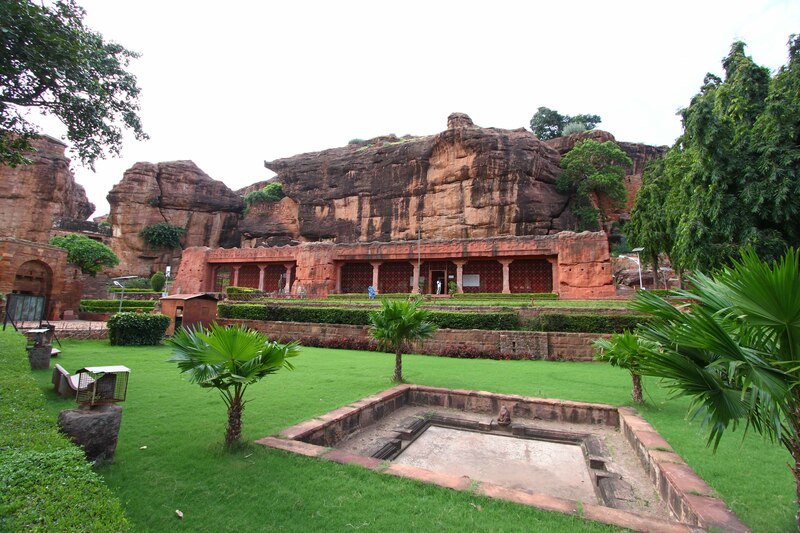 Some of the prominent ones are:\r\n \r\nCave 1: \r\nThe cave number one, made of red sandstone, dates back to 578 A.D. and was probably the first cave to be carved. One has to climb up 40 odd steps to reach the colonnaded verandah, a hall with numerous pillars and a square shaped sanctum hollowed in the control back wall. 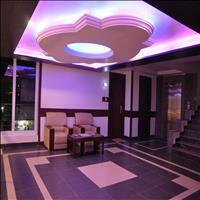 Column shafts are masterfully crafted. 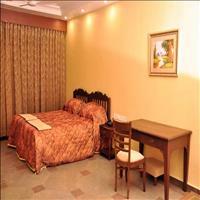 On the ceiling one can see the paintings of amorous couples. Shiva and his consort Parvati, and a coiled serpent. 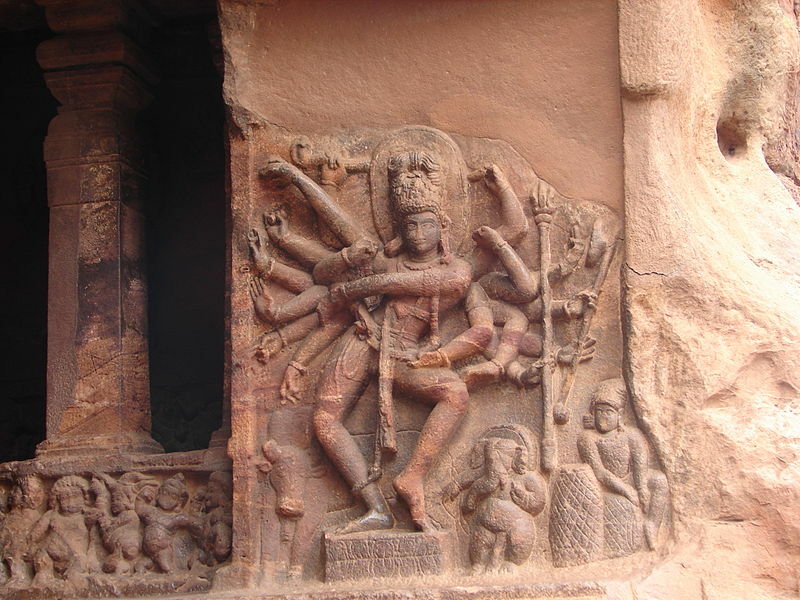 The main attraction of the cave is the 18-armed Lord Nataraja, seen in 81 different dancing poses. \r\n\r\nCave 2:\r\nDedicated to Lord Vishnu, the cave has depiction of the Lord in one of his incarnations as a dwarf or Vaman. This Vaman or Trivikrama had the ability to grow and take the earth and sky in one strand. The secon cave atop a sand stone hill shows this image of the Lord. Another form of Vishnu portrayed here is as 'Varaha' or as a boar. Then there is a frieze endearingly depicting Vishnu as Lord Krishna.\r\n\r\nCave 3:\r\nAs one climbs the flight of steps, he reaches the huge 70 feet wide cave number three. 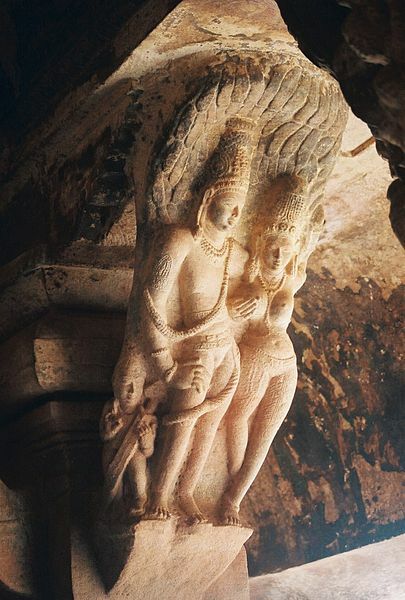 This is a beautiful cave with its sheer artistry and sculptural genius, it has become the highlight of Deccan art. \r\nIt gives a virtual insight into the art and culture of the 6th century like costumes, jewelry hairstyle lifestyle etc. 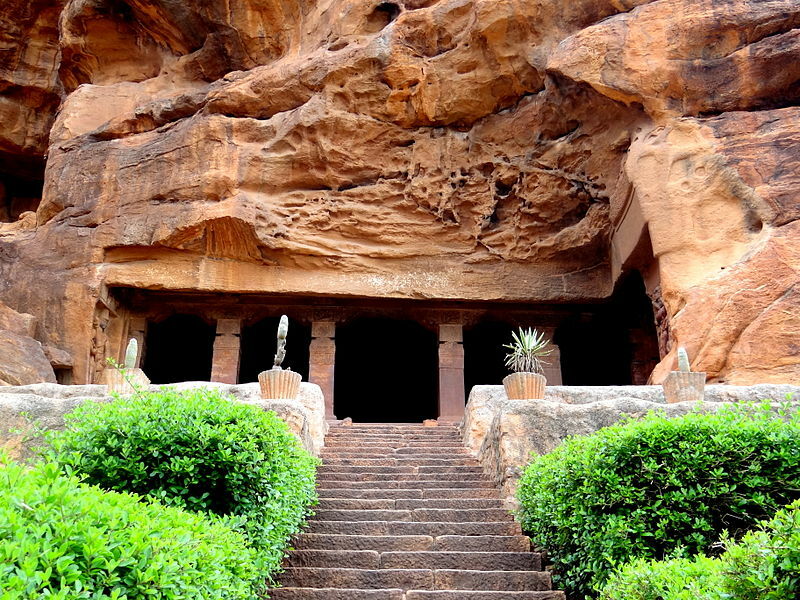 The other attractions to be looked carefully in this cave are the high relief of Vishnu with a serpent, Vishnu as Narasimha (Vishnu as Man-Lion) Varaha, Harihara (Shiva Vishnu) and Vishnu as Trivikrama.\r\n\r\nCave 4:\r\nThe only Jain cave among the lot, construction of which completed only 100 years later than the earlier three caves. 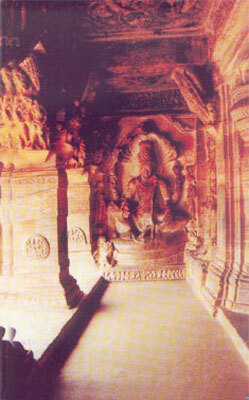 Here one can see the carvings of the Tirthankara Parshavnatha with a serpent at his feet; Mahavira in a sitting posture also can be seen in the shrine. Badami lies at the foot of a rugged, red sandstone outcrop that surrounds Agastya Tirtha tank (an artificial lake) on three sides. 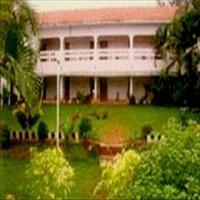 It was founded by Pulakesin I of the Chalukya dynasty. 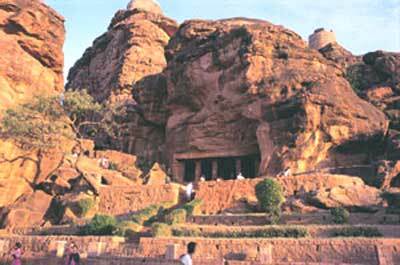 Once the capital of the Chalukyas, Badami, called Vatapi back then, is best known today for its rock-cut cave temples. The caves, sculpted in the 6th and 7th centuries CE, depict Hindu, Buddhist and Jain iconography. 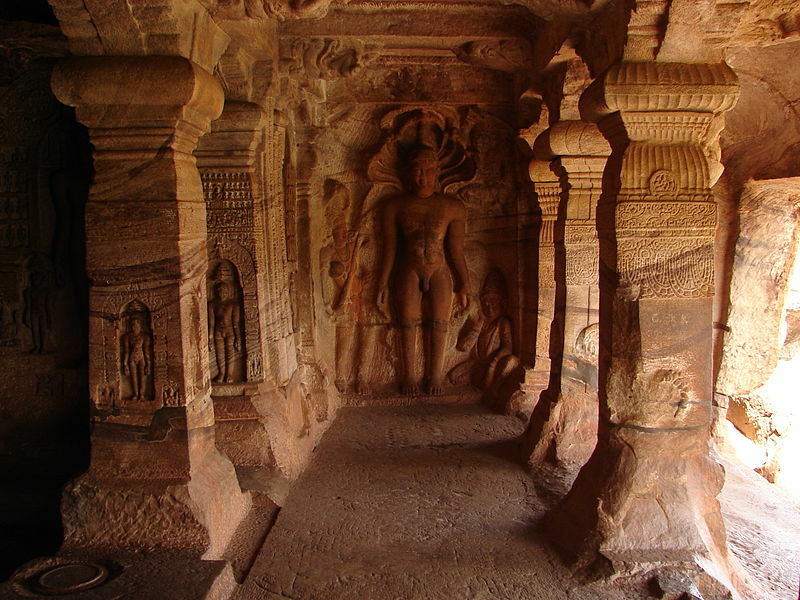 Cave 1 is devoted to Shiva, caves 2 and 3 are dedicated to Vishnu, and cave 4 displays reliefs of Jain Tirthankaras. 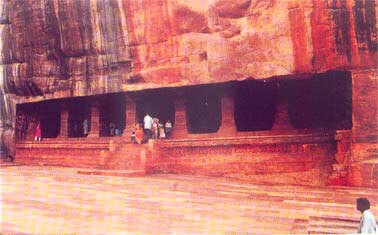 A natural cave nearby is dedicated to the Buddha. 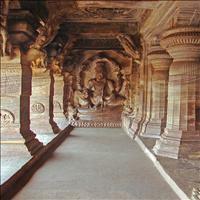 Carvings of Hindu Gods are strewn across the area in other caverns and on boulders. Two Bhutanatha temples stand facing the lake. Together, these monuments represent the early styles and stages of south Indian temple architecture. Karnataka… the land of fragrance; famous for its Vrindavan Gardens, the Shravana Belagola temple, the monuments of Hampi and Halebid, The hills full of greenery and gushing waterfalls, the sea beaches with splashing water, the sanctuaries where elephants and tigers roam freely, the scent of spices and coffee at Coorg, the magnificent palaces and gardens built by the kings and the ancient monuments, Karnataka has all to lure the tourists in its territory.